What Education do Chiropractors Need? Chiropractors are often asked…”Are you a real doctor?” The answer to that question is a resounding YES! 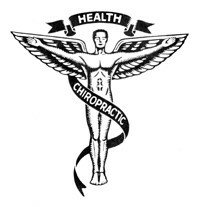 Do chiropractors receive medical degrees? No. But they do receive a Doctor of Chiropractic or D.C. degree. Chiropractors, like medical doctors, are required to have a pre-medical undergraduate background before entering their graduate program. Depending on the chiropractic school, the graduate program may take three or four years to complete. Some chiropractic schools are attended year-round in trimesters and some in quarters or semesters. There are currently 18 accredited chiropractic schools in the United States. 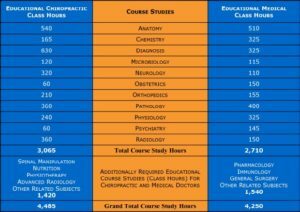 “Like other primary health care doctors, chiropractic students spend a significant portion of their curriculum studying clinical subjects related to evaluating and caring for patients. Typically, as part of their professional training, they must complete a minimum of a one-year clinical-based program dealing with actual patient care. In total, the curriculum includes a minimum of 4,200 hours of classroom, laboratory and clinical experience. The course of study is approved by an accrediting agency which is fully recognized by the U.S. Department of Education. This has been the case for more than 25 years.” (https://www.acatoday.org/content_css.cfm?CID=746). In subjects such as anatomy, clinical diagnosis, neurology, orthopedics, and radiology, the education of a chiropractor exceeds that of a medical doctor. This fact gives chiropractors a significant advantage over medical doctors when it comes to discovering the cause of an issue rather than just treating the symptoms on the surface. These areas of advanced study are what qualify chiropractors as musculoskeletal experts and what allows us to rise above other professions when treating musculoskeletal conditions. After receiving a Doctor of Chiropractic degree, chiropractors are required to complete continuing education every year in order to remain in good standing with the state licensing board. The amount of continuing education required is determined by the state in which the chiropractor is licensed. The chiropractors in Montana are required to complete 13 hours of continuing education per year, however, the chiropractors at Pro Chiropractic strive to complete significantly more. Often totaling more than three or four times the required amount per year, we are always searching for new topics to learn about so we can better serve our patients.